So the Smash community is working overtime on trying to discover new secrets and techniques for Smash Brothers Brawl. I just wanted to chime in on a few of the developments. One of the more interesting ones that I have actually tested and confirmed is a new way to grab and throw an opponent. It doesn’t have a name yet as far as I know, so I am just going to tentatively call it Passing Grab. It is basically a quick turn and grab behind while running. You have to be close to a full speed run, pass your opponent by, smash backwards and press the grab button at the same time. Your character will turn and grab very quickly behind them. To me this seems like it could be useful with a fast character like Sonic or even a character like Link who has a long grapple move. Very simple tech but it appears as if it could have good strategical value. Also it is important to note that L-canceling is not in the game. Instead it appears as if certain moves just have the amount of lag that you would normally get from L-canceling. So it is basically auto on the moves that can do it, and not possible on other moves. At least so far. 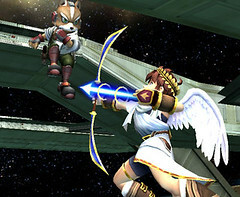 Marth was the best example of this as there was considerably little lag on most of his aerials. I will be back with more info as I discover it. I am also going to go through some more captured vids and see if there is anything worth posting.